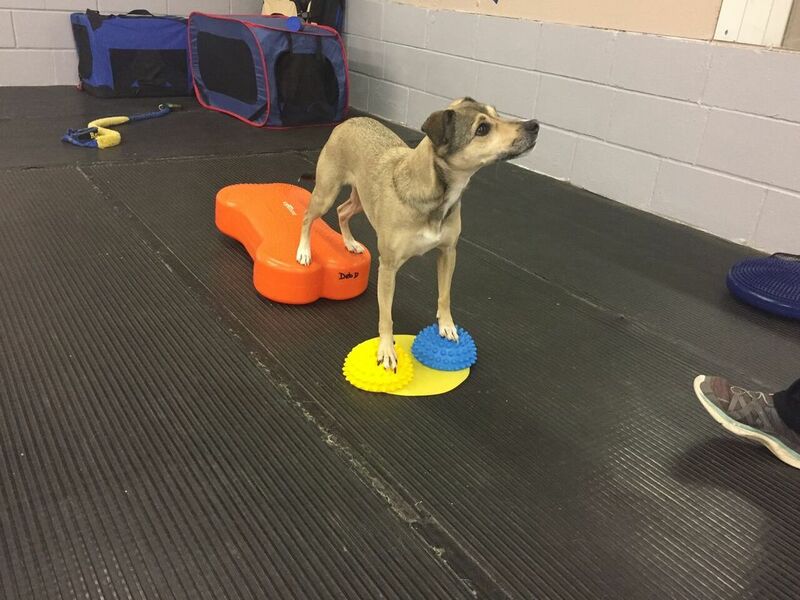 Classes are set up in a circuit style with four new exercises and progressions being taught each week. 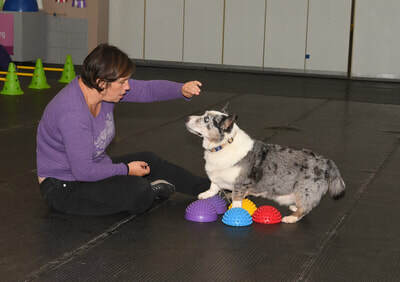 Students are e-mailed a weekly handout so that they can continue practicing outside of class. 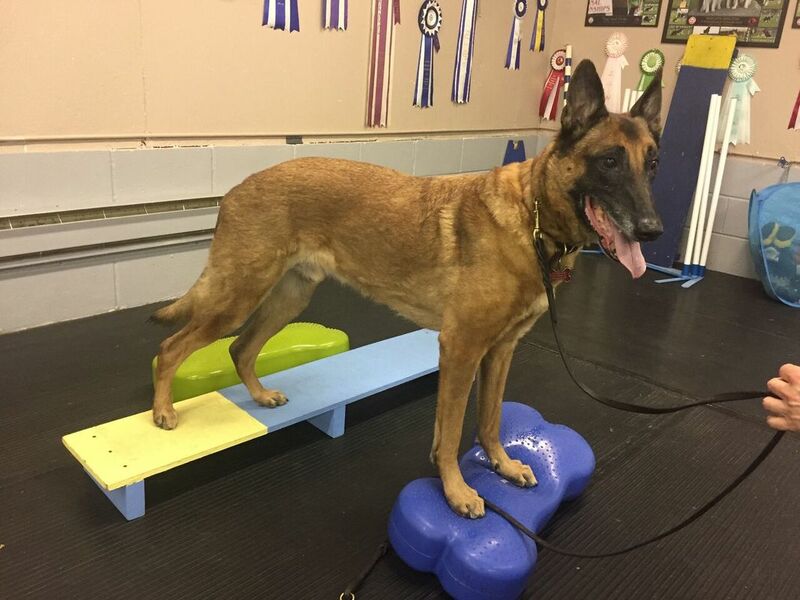 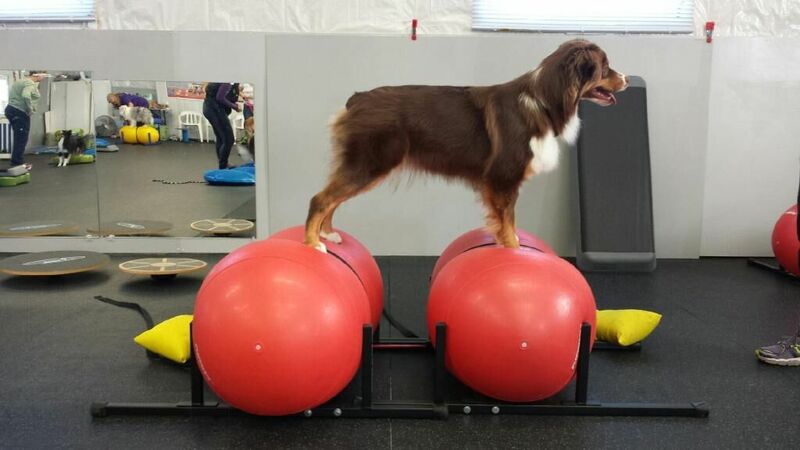 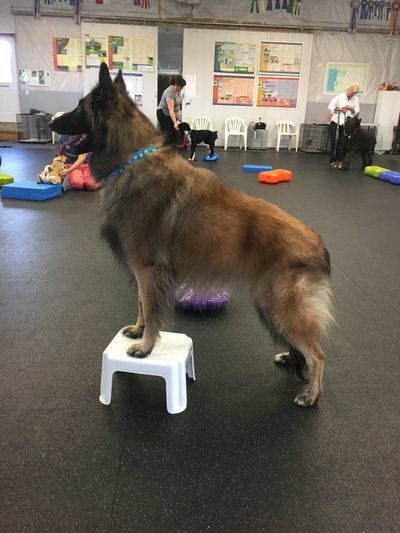 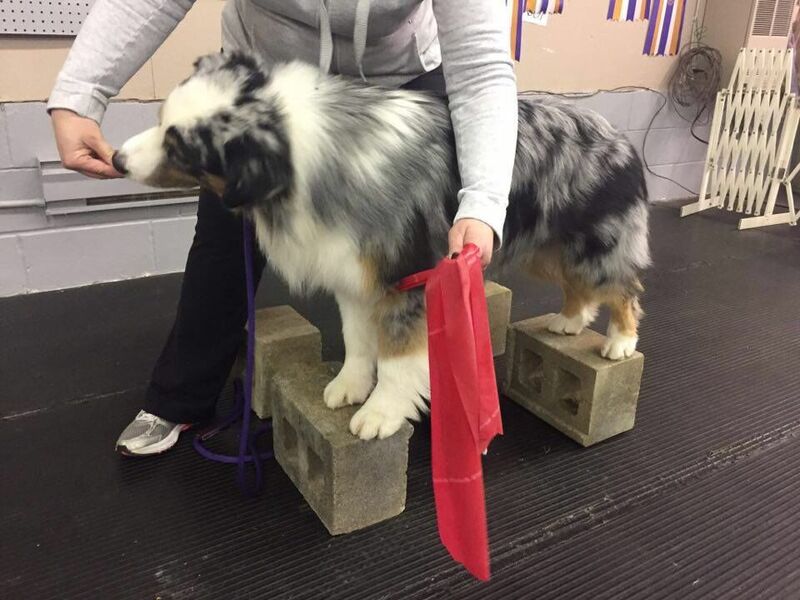 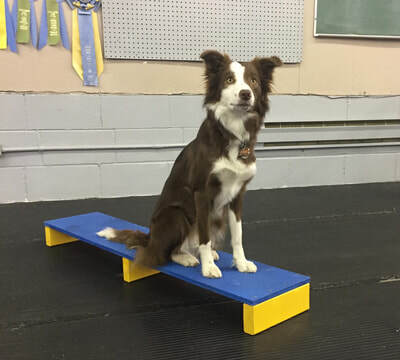 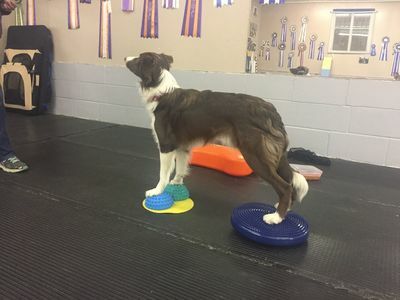 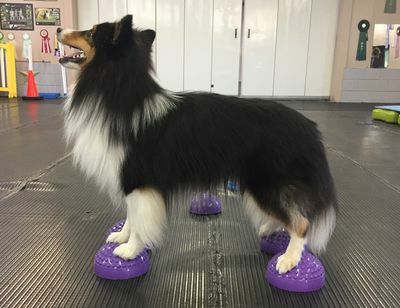 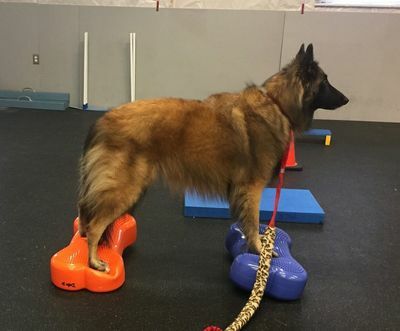 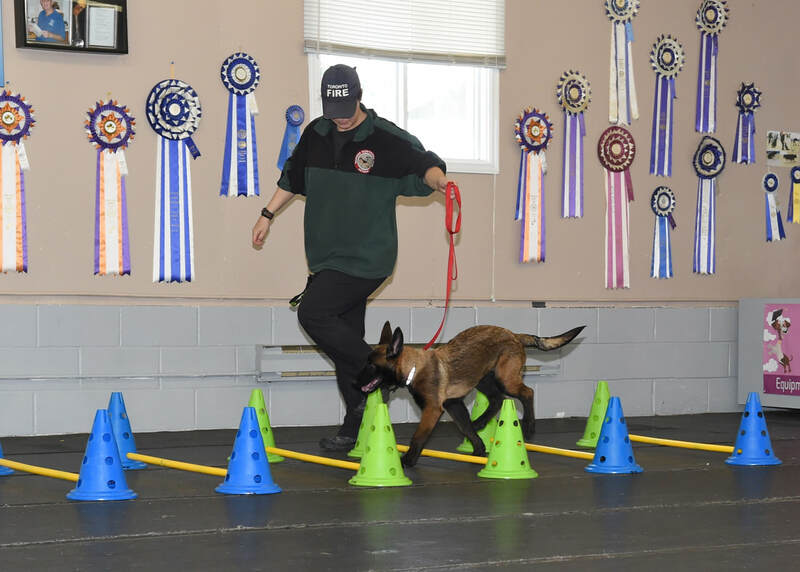 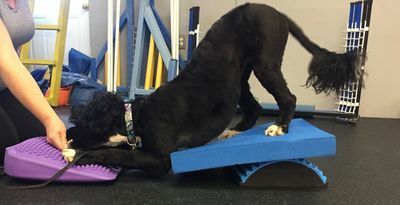 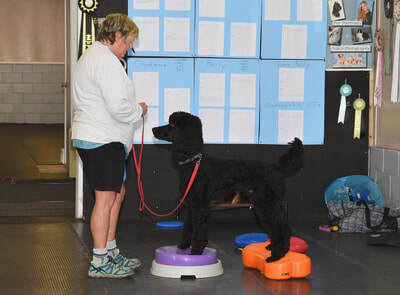 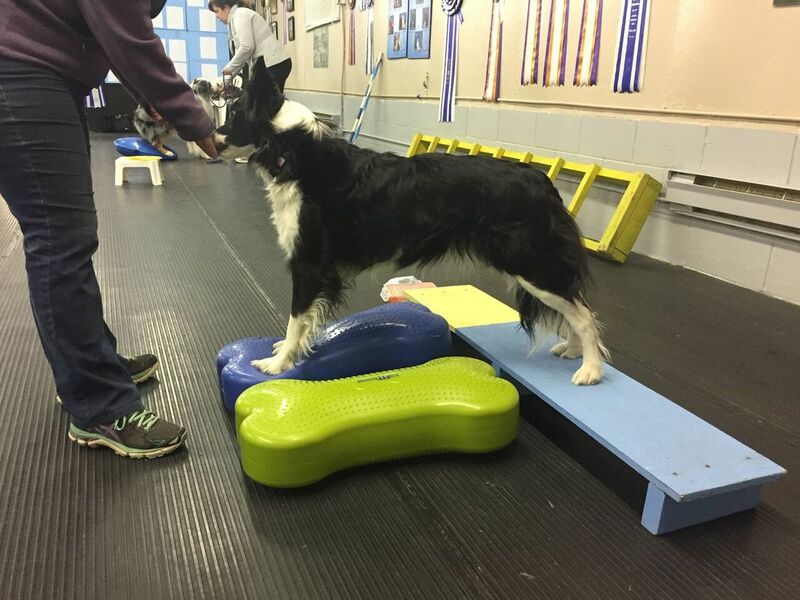 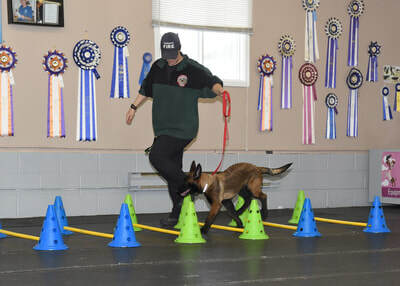 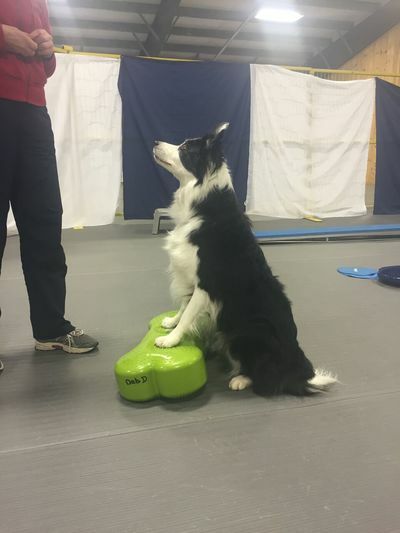 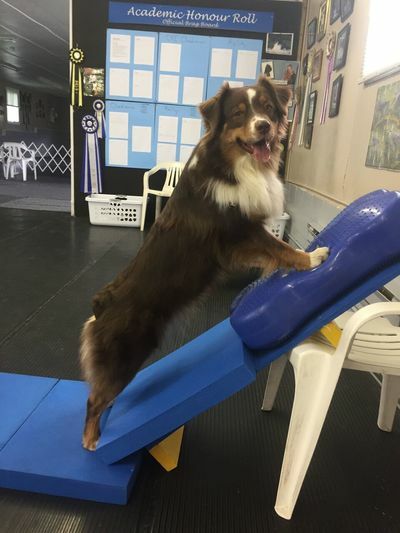 Classes are not just for performance dogs – any dog can participate in these general conditioning classes, with exercises modified to suit the level of each dog. A focus on improving strength, body awareness, flexibility, and endurance is covered in each session. 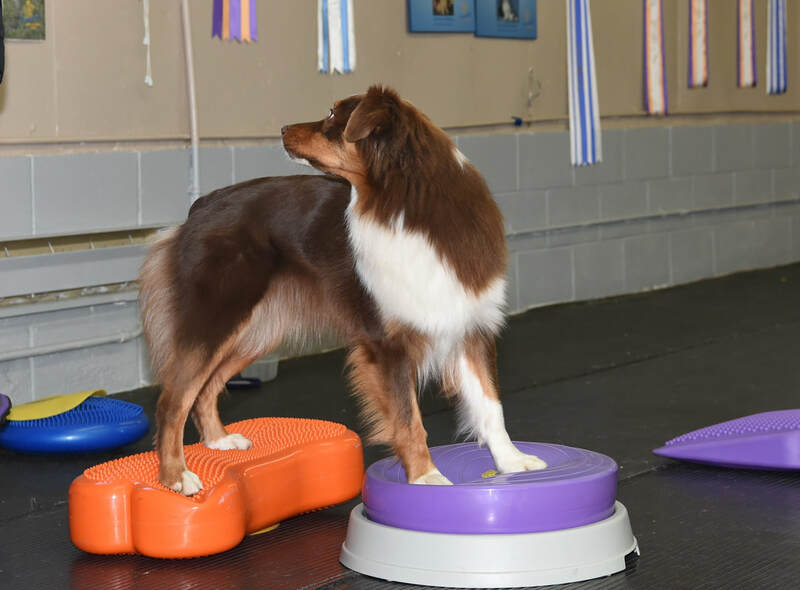 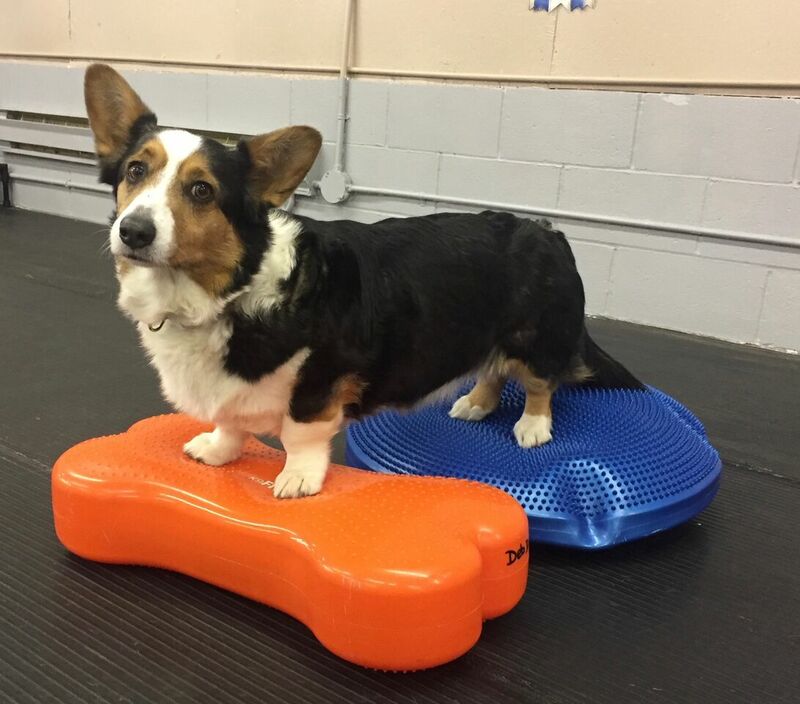 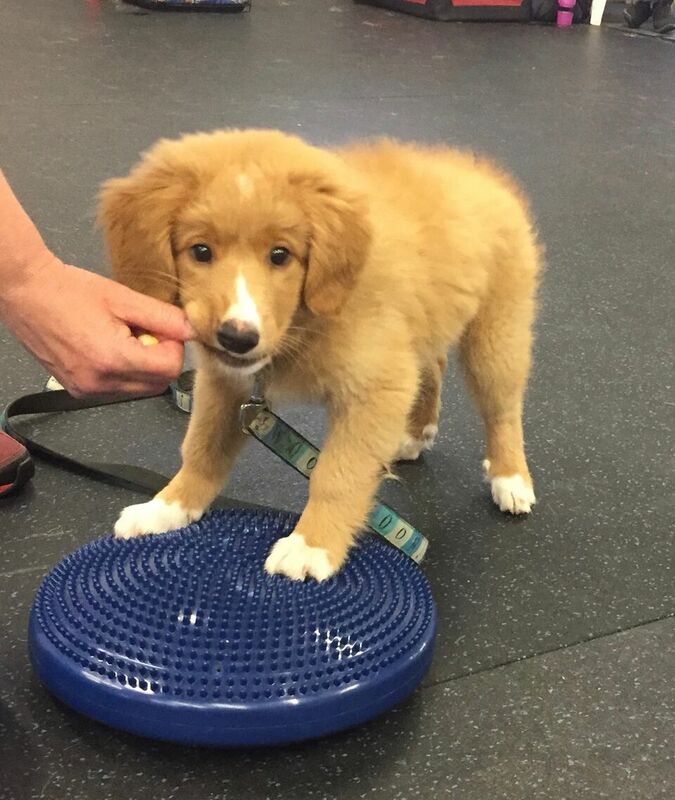 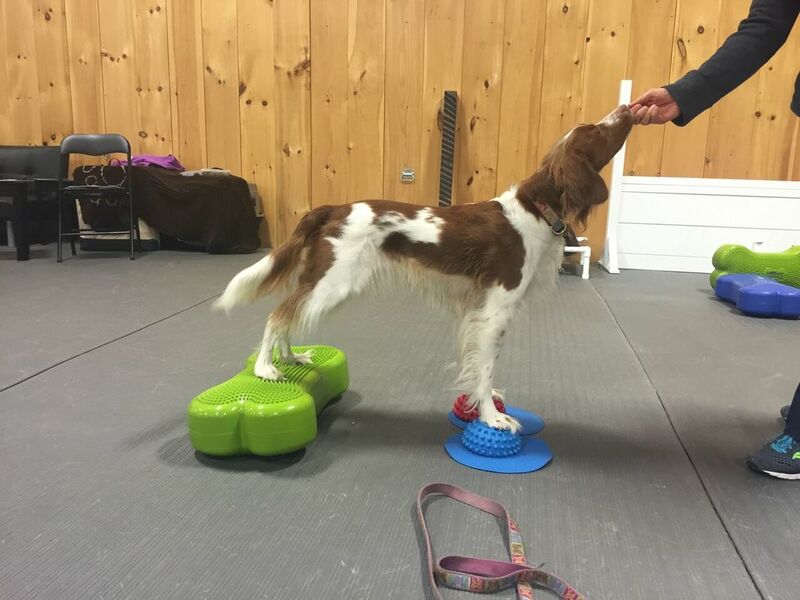 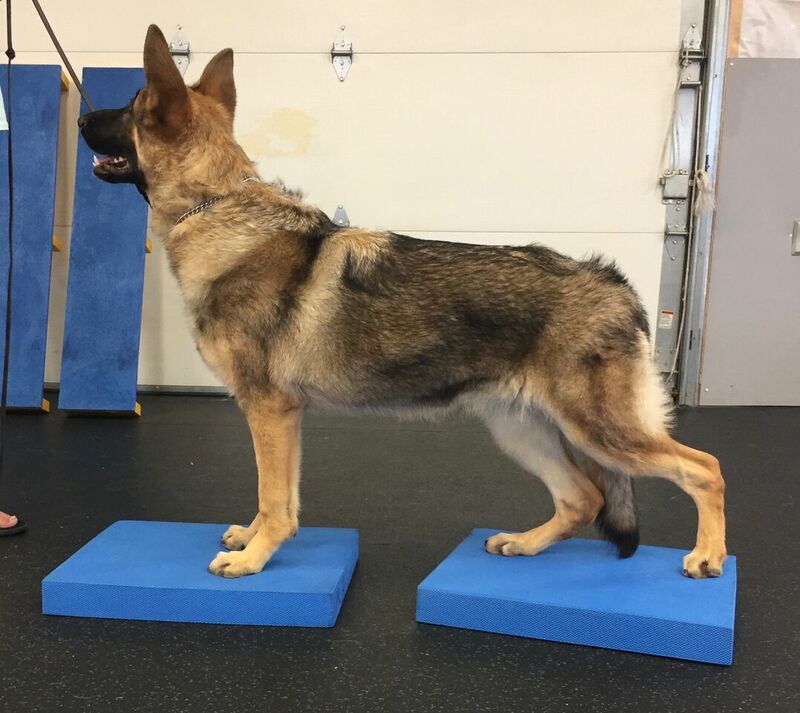 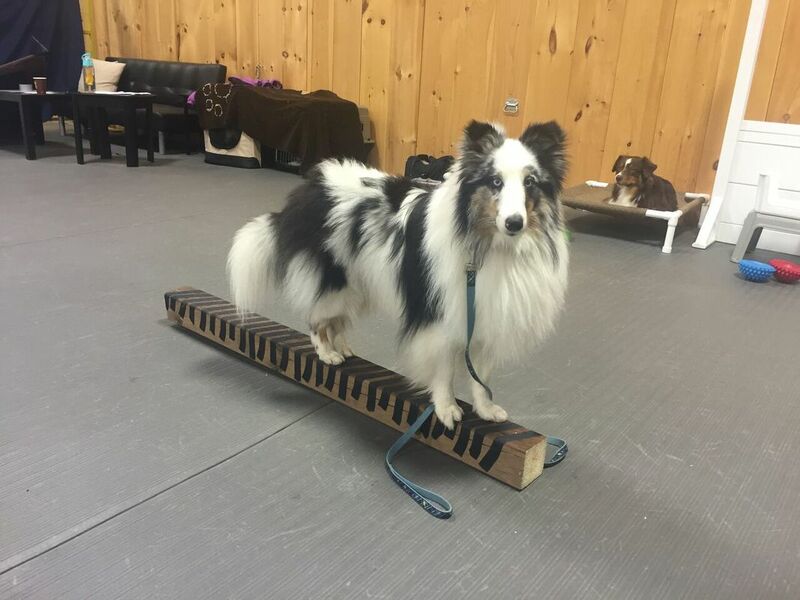 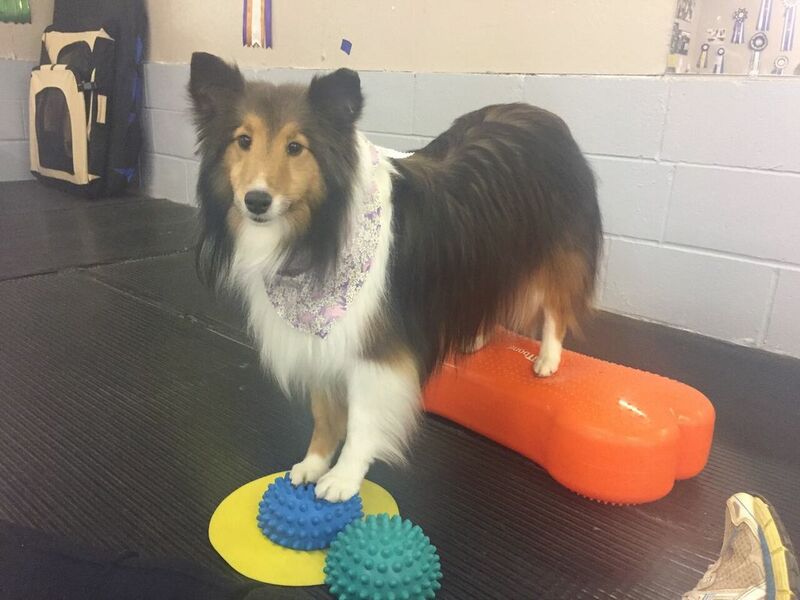 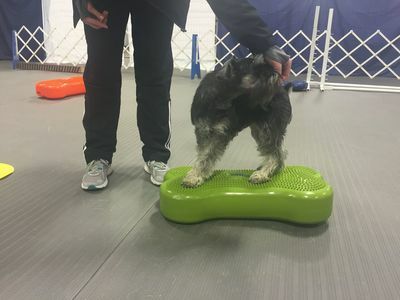 Check out the gallery below for photos from our canine conditioning classes! 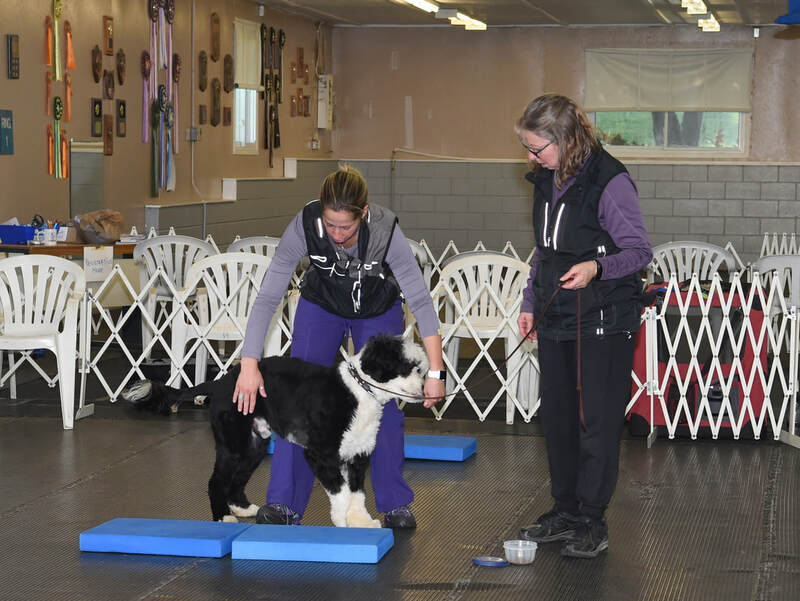 All classes are proudly run out of the beautiful Campaign Dog Academy facility in Georgetown, Ontario. Sessions normally run 6 weeks and are $180 for current campaign students and $190 for non-campaign students. Drop-ins may be available occasionally and will be posted on our Facebook page. 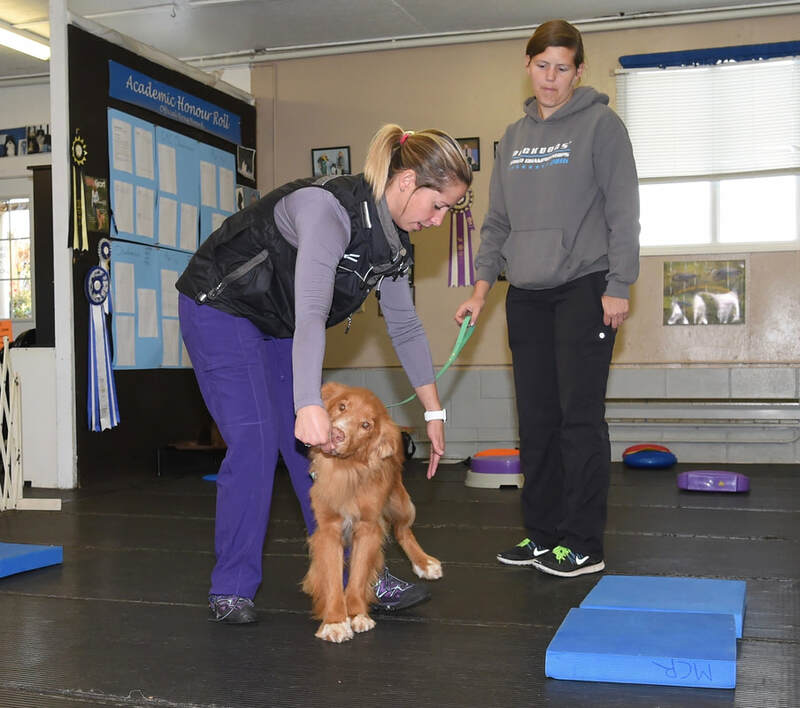 Please contact Carolyn to determine if your dog is ready to join these classes. There are no upcoming classes scheduled at this time.